We believe that a healthy body is the appropriate compliment to a healthy soul and spirit. Our clients benefit from access to products and services that we believe are leading the industry in maximizing overall health and wellness. It is our pleasure to recommend products and services that fit your individual needs and health goals. 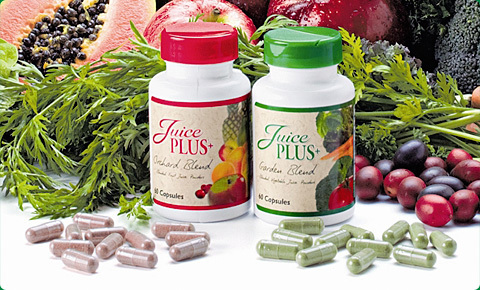 One of those products that we highly recommend is Juice Plus+Â®. Please take a moment to learn a little about this revolutionary product and how it will help you obtain that happier, healthier life. Medical Science reminds us every day that good nutrition and good health go hand in hand ” especially when it comes to the health benefits of eating fresh, raw fruits and vegetables. Researchers continue to find elements in fruits and vegetables that strengthen our immune systems, impede the development of degenerative diseases like cancer and heart disease, and contribute to good health in many other ways. Unfortunately, most people don’t eat nearly enough fruits and vegetables, especially not everyday. Those we do eat tend to be over processed, overcooked, or too far removed from the field, and thus lack much of the nutrition provided by fresh, raw fruits and vegetables. Juice Plus+Â® is the convenient and inexpensive way to add more nutrition from fresh, raw fruits and vegetables to your diet, every day! 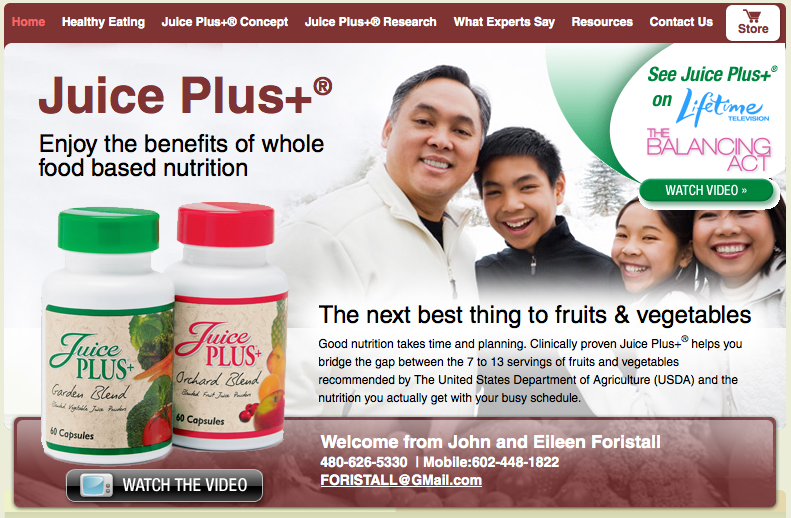 Juice Plus+Â® is a whole food supplement, made from a variety of nutritious fruits and vegetables, not a highly processed, highly-fragmented vitamin or mineral supplement. Juice Plus+Â® has the Vitamin C of 4 oranges, the Beta Carotene of 3 raw carrots, more Vitamin E than several 1 cup servings of spinach and broccoli, plus other vitamins and minerals and phytochemicals and antioxidants found in the fruits and vegetables it’s made from. © Copyright 2013. The Natural Existence All Rights Reserved.